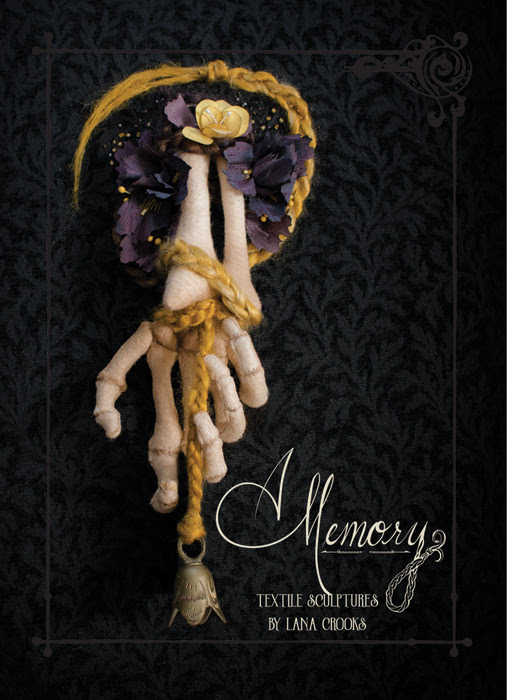 The work for “A Memory” is inspired by victorian jewelry, mourning practices and hair work. For this exhibit I have learned traditional hair work using instructional manuals from the 1870’s and have used a number of materials (even my own hair) to emulate the victorian memorials. Creating wool skeletons and silk flowers encrusted in glass, jet, onyx and other semi precious beads to create modern memento mori specimens. 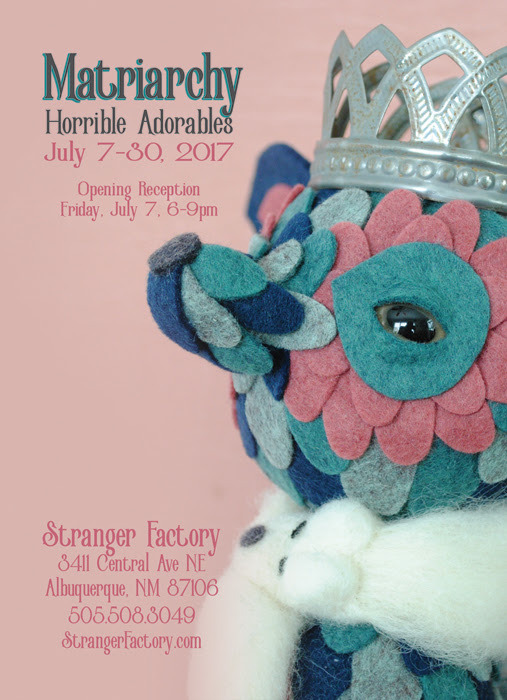 Horrible Adorables current body of work depicts matriarchal societies in the form of anthropomorphized creatures. It shows the social dynamics between royalty and their subjects; from those loyally serving their ruler to the fate of doomed queens after a revolt. Our hybrid creature interpretations are loosely based on matriarchies in the animal kingdom, where females reign supreme. Jordan and Chris bring their soft sculptures to life by meticulously arranging patterns of felt scales onto hard carved forms. The resulting characters have qualities that are both cartoonish and eerily realistic at the same time. Horrible Adorables are strange hybrid creatures from a fantastical word. Their facial expressions and postures reveal recognizably human emotions as they interact with one another. Horrible Adorables can be found online and at indie craft fairs, galleries, and boutiques across the globe. In addition to Horrible Adorables, Jordan also works as a freelance toy and textile designer. She has proudly worked for companies such as Little Tikes, Hasbro and Joann Fabrics.